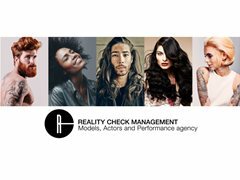 We are a talent agency based in London with over 10 years experience in the acting and modelling sector of the business providing talent for Film/TV/Commercials and print campaigns. We are now in Sydney! With our combined experiences we have a complete and in depth knowledge of our artists attributes and skills, which are constantly updated on our website. Ethnically diverse actors looking for representation.